The competition between third-party sellers marketplaces is getting fierce, and now eBay has accused Amazon of poaching its own independent sellers through its own messaging system, according to a report from The Wall Street Journal. eBay sent a cease and desist letter to Amazon yesterday, the report states, after the company discovered more than 50 Amazon sales representatives had sent more than 1,000 messages to eBay sellers trying to convince them to bring their business to Amazon Marketplace. The heated competition for 3rd-party sellers is a product of both a general shift in retail and e-commerce and the increasing importance of catering to small and independent businesses that do a majority, if not all, of their sales online. Increasingly, consumers are purchasing items directly from sellers through marketplaces like Amazon and eBay. That’s because companies have discovered they can get off the ground more easily by launching entire ventures exclusively online. Those businesses are funded through crowd-funding campaigns sometimes, and often they are built specifically to sell direct thanks to manufacturing relationships in China — Chinese consumer electronics brand Anker built its business on Amazon Marketplace — or the equipment necessary to produce items, like jewelry or clothing, at home and then sell it on a platform like Etsy. In turn, tech firms have built out their respective platforms to be as accommodating to sellers as possible, as a result of the more lucrative cut those platforms receive from each sale, the WSJ notes. eBay has shifted from being a place where people sell old junk or rare collectibles to a place where businesses can thrive selling new or used goods. Amazon too has built its Marketplace as a growing arm of its retail business, where it can charge sellers for shipping, marketing, and other aspects of the operation. In this case, however, it looks like Amazon was using less-than-savory tactics — tactics very similar to a controversial Uber poaching campaign against Lyft from a few years back — to court sellers away from one of its competitors. 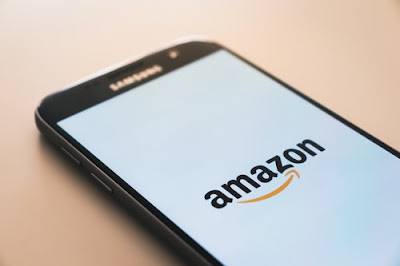 According to the report, Amazon sales reps used tricks to get around eBay’s detection methods, including putting dashes in between each letter of the word “Amazon” and spelling out email addresses and other contact info so as to avoid alerting eBay to when the sales rep was trying to take a conversation outside its messaging platform.